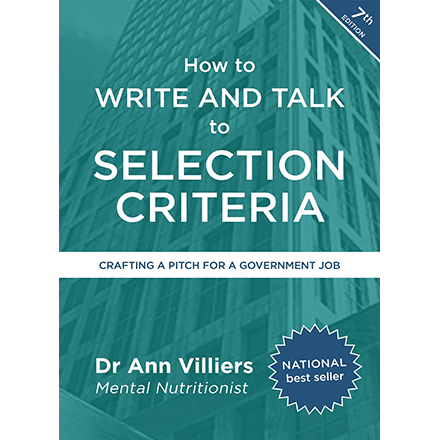 Feeling nervous about your next job interview for the public sector? Been to several interviews and keep missing out? Wondering what questions you could be asked and how to answer them? Then try Interview Coaching. For full details please read this brochure. Individual coaching is conducted either over the phone or by Skype. Coaching takes the form of a discussion about the process, question types, your responses and can include role playing interview responses. Between one and two hours is usually sufficient time to cover your needs. With this information I prepare questions for you to focus on during the coaching session. Coaching fees vary depending on the level of the job and whether coaching takes place by phone or in person. If you are applying for an SES position I can refer you to a coach with recent SES experience. You can inquire about this service by phone 02 6254 5023 or by using Contact Us. Include information about the level of the job and when your interview is scheduled. You may also find 101 Interview Questions, Winning Performance at Job Interviews, Five minute coaching – A Six Pack on Selling Yourself, useful tools for interview preparation.